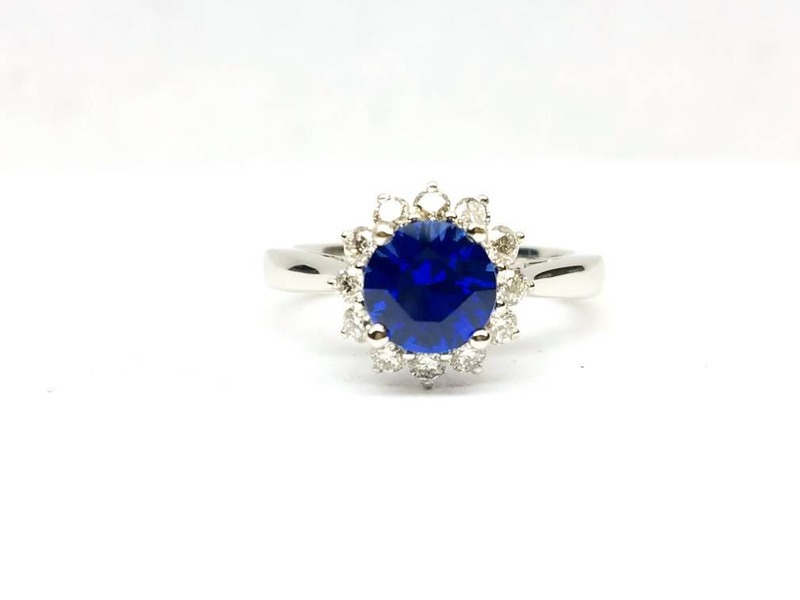 Blue sapphire engagement ring/Something blue/September birthstone, Natural sapphire. 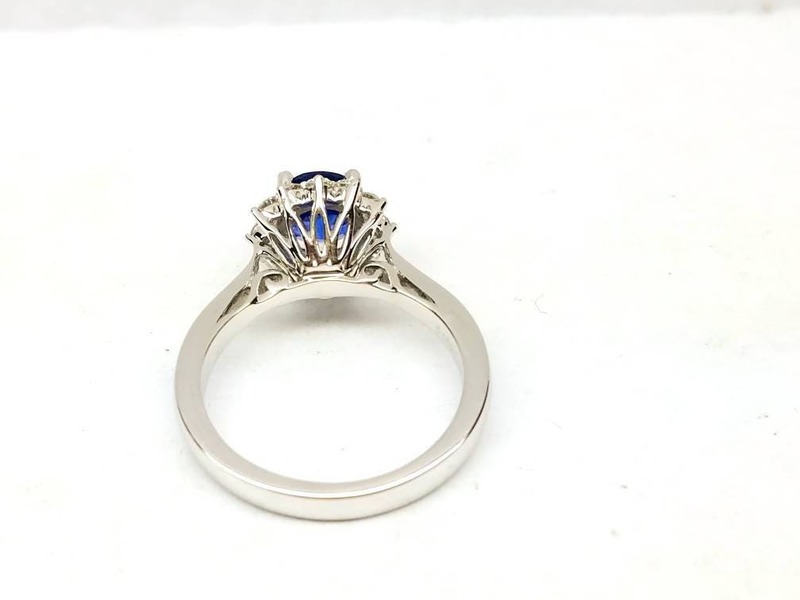 This 14k white gold, elegant and timelessly beautiful engagement ring or right hand ring has a 6.5mm round royal blue natural ceylon Sri lanka sapphire surrounded by sparkling conflict free natural diamonds. 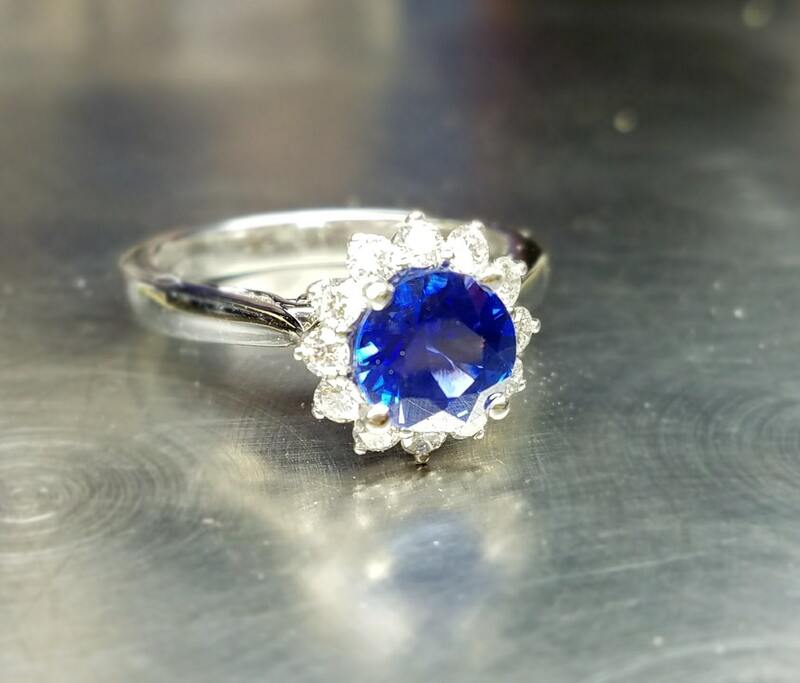 The sapphire is 1.33 carat and the diamonds are 0.25 carat G color and VS clarity. 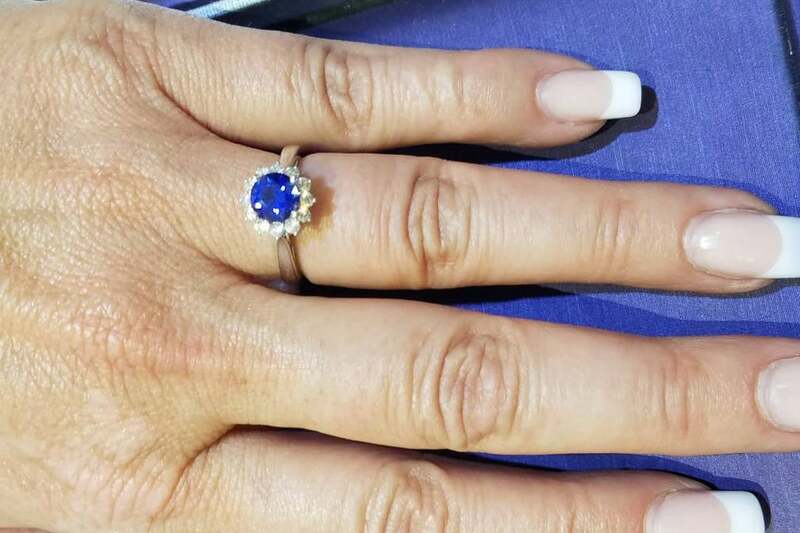 Wear it as an engagement ring, wedding ring, cocktail ring or a right hand ring. We offer a lifetime warranty service. 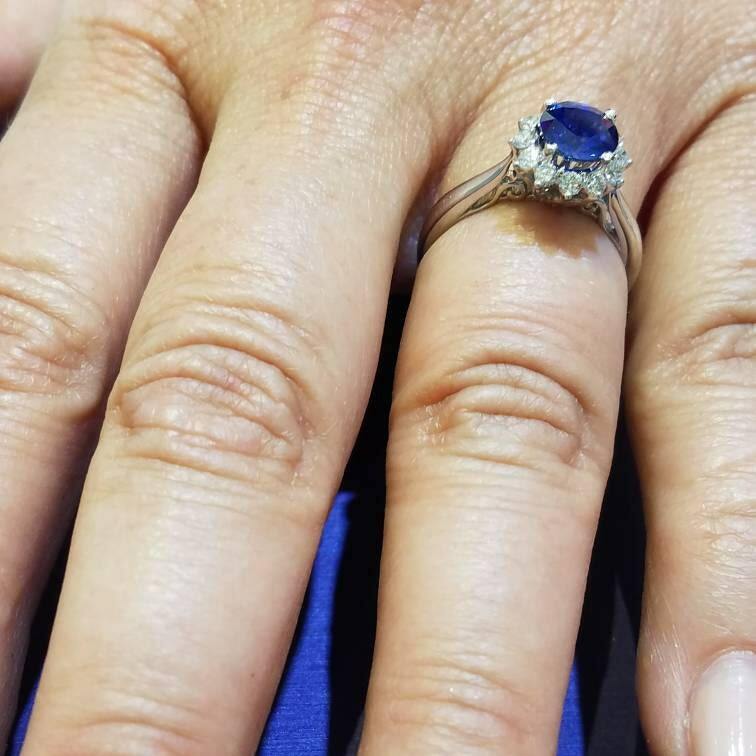 Every 6 months, you can contact us to send the ring back for a free cleaning, polishing and prong tightening service to ensure your ring is always in its best condition.